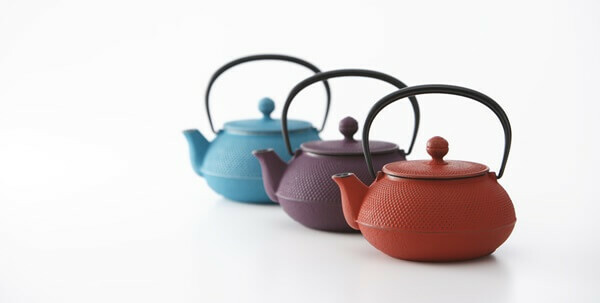 Now Japanese traditional iron kettle, and pots are becoming famous among America, China and South-east countries. Good point of using iron wares for cooking is that heat transfer is good. So, even with the usual frying way, it is possible to fry delicious food which is crispy and at the same time juicy inside. Also, it is said that you can get “iron minerals” by using iron products for your meals. 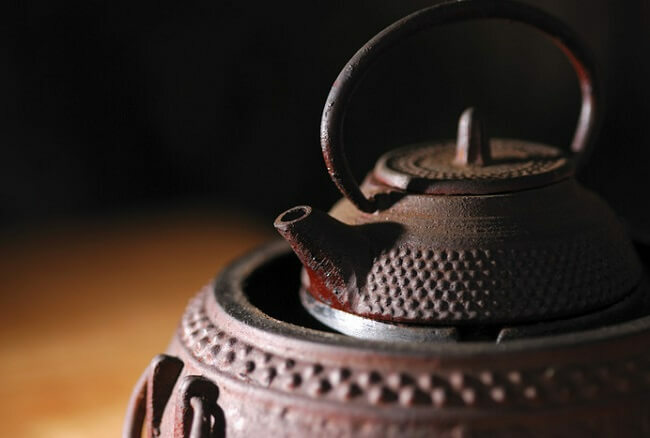 Recent study shows that tea/meal boiled in ironware have 9 times more iron minerals than in regular stainless ware. So, even simply boiling a water in ironware pot has mellow taste compared to normal pot. Boiling a water in ironware pot removes almost all of the chlorine. Iron parts break down these, and further makes taste smooth. It is said that boiled water in ironware pot have more nutrition than regular bottled mineral water. It might be the reason that the goodness of iron is now being reviewed. The representative product of ironware is Nambu ironware. 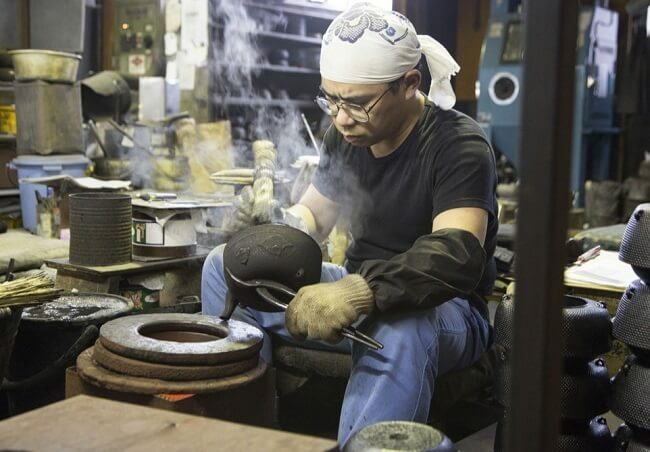 Nambu ironware is traditional craft of Iwate prefecture and it has around 400 years history. At first, traditional crafts had old-fashioned black color, however, modern ones come with various types of colors including red, pink, green, blue, and orange. In Europe, it is being used as a tea pot. Beware of the Fake Ones! Quality Is Completely Different Although They Look Same! 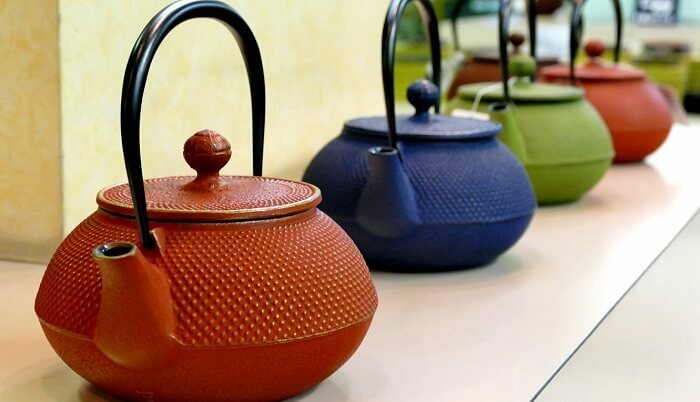 Nowadays, Nambu ironware gains explosive popularity in Southeast Asian countries including China. As for China, ironware is started to sell because of the reason that iron parts are good for health. Drinking water has bad quality in China, so they boil water in ironware pot to make delicious. Also, ironware frying pan and hot pot of Chinese dish are being sold well. 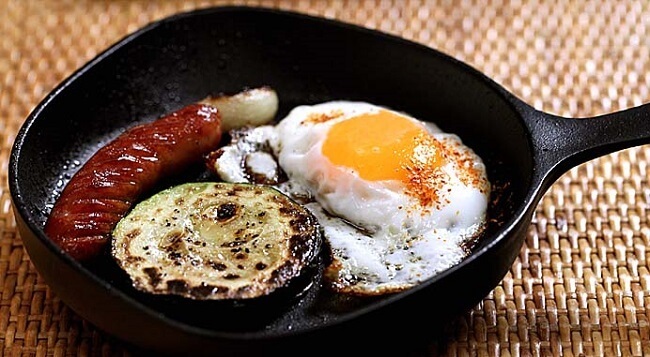 Heat transmit through ironware’s frying pan very well comparing to regular frying pan, so meal become more delicious. As the result, unusually extra-many brokers from China are buying Nambu ironwares up, so it is still in short supply. Also, huge number of Nambu ironware is exported to Hong Kong, and its price is several times higher than the original price in Japan. It is being said that iron is deficient inside human body in modern era, and it is causing anemia. Do you know how much iron minerals should we take a day normally? Generally, 10mg for adult male and 12mg for adult female. Female should take more iron minerals than male, so relatively more female is anemic. Furthermore, females should take 15mg of iron mineral during early pregnancy period and 20mg late period which is almost twice size of regular time. Of course, it is best to take iron minerals from meals, however, the easiest way to add extra resource is using Nambu ironware. When cooking with Nambu ironware, iron parts come out gradually and slip into meal and water. So, refilling iron minerals is possible easily by eating and drinking meal. Most of the iron parts (80~95%, called “divalent iron”), that comes out from ironware, is easy to be absorbed by human body. Now it is clear that preventing and even improving anemia is possible by using ironware continuously. 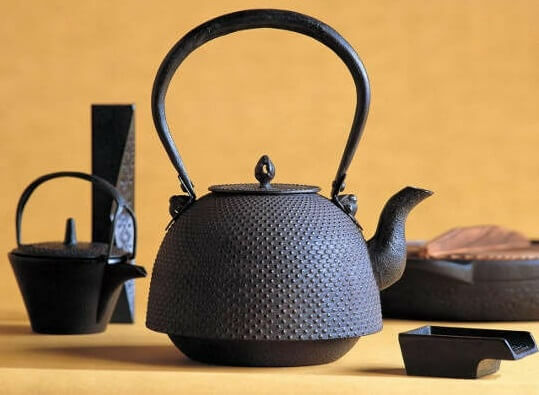 Nambu ironware mainly produced by using a manufacturing method called “casting”, which pours molten iron into a special mold and cools down to solidify it. 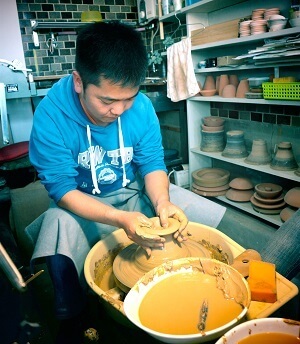 This special mold of Nambu ironware is created from unique hardened sand form, and it is called “sand form.” And during shaping process with special mold, ironware adapts sand form’s surface, so that it has very small irregularities on the surface. It prevents from staying burned out food on the surface because oil and hot air entering into those small irregularities. Once iron heated, it takes longer time to cool down comparing to other materials. For instance, it is proven that iron pot holds heat 1.5 times longer than aluminum one. Such iron’s heat preservation can have meaning that its temperature almost does not change when put foodstuff into. In other words, our meal can be cooked with almost same temperature from start to finish, so that it would become more delicious. In addition, iron has advantages such as 1.5 times longer heat-holding than aluminum pot, and better heat-transmission than stainless steel. Therefore, water boils faster in iron pot than stainless steel one from the start of heating. The temperature starts to melt, or melting point, is more than 1000 Celsius for iron! 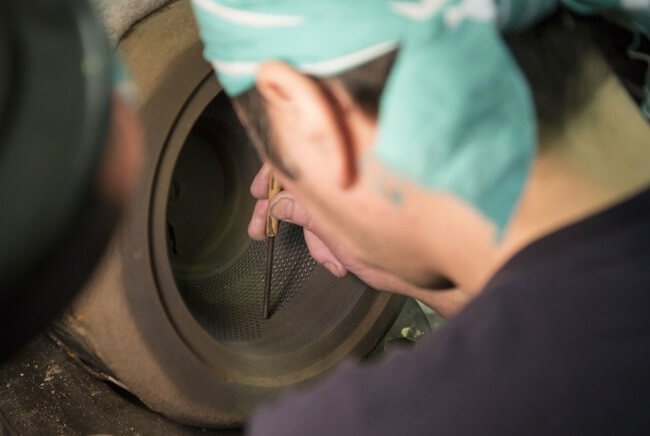 Therefore, because it is very strong and it can withstand even carelessly empty heating, it can be used for a lifetime with a little care to rust. In addition, the more you use it, the more you will enjoy its texture of handling. The taste and the charm of it changes depending on the owner. So, the life of the owner reflects into it. This is the real unique feature of Nambu ironware. Copied fake products are on sale throughout overseas, and those looks very similar to real ones, however, quality is completely different. If you look around in small retail stores, the shops selling Japanese products is clearly stands out among others. The more user uses real ironware carefully, the more it will be loved. And it can be lasted to grandchild generation. This kind of custom is favored by Europeans especially. 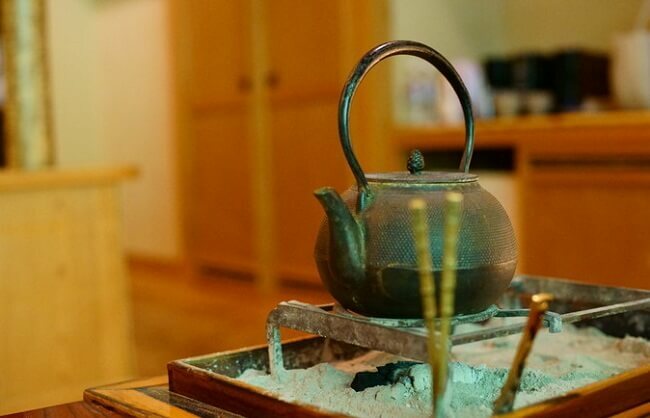 While using it for a long time, lime can be accumulated in the teapot and maintenance is necessary sometimes. However, if it is real ironware, the store, you bought it from, will deal with it very generously. Nambu ironware is one of the kitchen wares you must have and use it. It has many advantages starting from healthy food to using texture. It is enough reason that we can get necessary iron minerals just by using it to cook our meal or tea in it. Then, many diseases can be prevent easily including anemia. And the unique texture is very nice while using and handling ironware. Because it is iron, it has other merits like cook more delicious food and fast. So, I would strongly recommend to people to use Nambu ironware for their daily life.